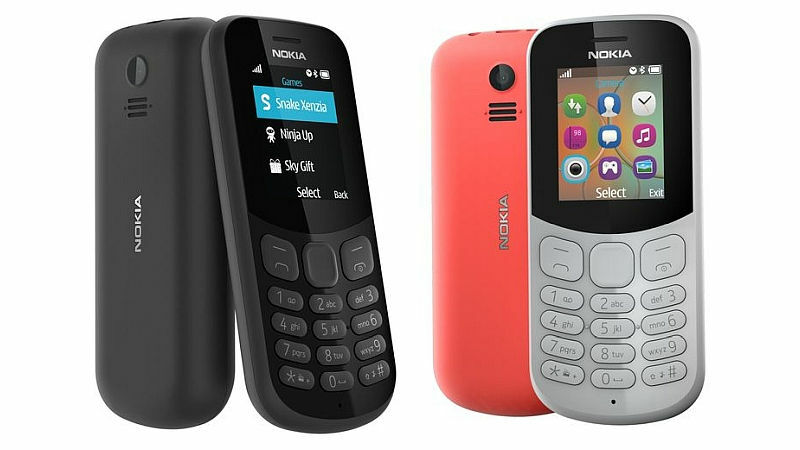 Tips Alert: New Nokia 130 launched for Rs 1599, now available for sale in India. New Nokia 130 launched for Rs 1599, now available for sale in India. Nokia 130 (2017), which was unveiled last month in India, is now available to buy in the country via offline retail stores. The feature phone has gone on sale in three colour variants - Red, Grey, and Black. HMD Global is touting the inclusion of a 'try and buy' games bundle from Gameloft on the phone. The Nokia 130 (2017) price in India is Rs. 1,599 (best buy price), and it has been launched in its dual-SIM variant. The Nokia 130 (2017) features entertainment and media-centric features like an in-built VGA camera and an MP3 player support. It also has rounded edges now with a polycarbonate shell for tough handling. It also features a LED torchlight. The Micro-USB port and the 3.5mm audio jack are situated at the top, while the camera and speaker grille sit at the back. It also has a 1.8-inch QVGA coloured display, and the feature phone also runs on the Series 30+ software platform. The Nokia 130 (2017) packs a 4MB RAM, 8MB storage, and a microSD card slot allowing for expansion up to 32GB. The new Nokia 130 supports Bluetooth connectivity and has a 1020mAh battery that is rated to offer up to 44 hours of FM radio music playback with a headset, 11.5 hours of video playback, or up to a month on standby from a single charge. The phone also comes pre-loaded with Snake Xenzia and five try-and-buy Gameloft games. The dimensions of this feature phone are 111.5x48.4x14.2mm. The feature phone is preloaded with Snake Xenzia, and as we mentioned, it is bundled with five try and buy games from Gameloft – Ninja Up, Danger Dash, Nitro Racing, Air Strike, and Sky Gift. "Phones are true companions, always by our side, in our pockets or bags. The Nokia 130 has been built to take the everyday knocks whilst offering entertainment as you go about your day," says Ajey Mehta, Vice President- India, HMD Global. "High quality voice and call clarity is essential, and the Nokia 130 delivers that and so much more in a stylish and truly entertaining package."